I have taken enough motorcycle trips with minimal luggage to learn the value not only of packing light, but also packing right. When you pull up to a gas station outside of Green River, Wyoming and the attendant stares at your bike and comments that he has never seen a British motorcycle before, you know you made the smart choice by throwing a few extra metric wrenches in the tank bag. Although I only lasted a few years in the Boy Scouts before dropping out to chase girls, the “Be Prepared” mentality has stuck with me. As Billy Gibbons sang, “It's better to have it than to need it and not.” For 2014, RevZilla is carrying the new line of American Kargo Bags, so now it is easier than ever to show up to a local weekend hare scramble or track day with all of your gear in tow. 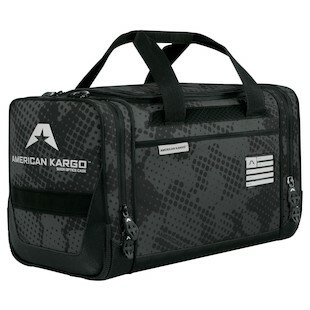 My favorite piece that I have seen in the new series is the American Kargo Sixer Case. Originally designed to fit goggles and tearoff strips, the interior dividers can be reconfigured as needed to fit cameras, lenses, batteries, computers or whatever you want to carry with you. This flexibility means the same bag can carry an extra set of eyewear as well as everything you need to set up shop at a trackday and edit your favorite shots of the day right in the pits. 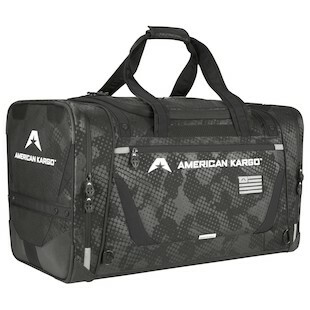 Both the American Kargo Gear Bag and the American Kargo Duffle Bag allow even disorganized individuals to keep their valuable equipment completely neat and orderly while transporting items from the garage to the track or the dirt. Both bags feature a ballast system to keep dirty boots from contaminating whatever clean items are left at the end of the weekend. 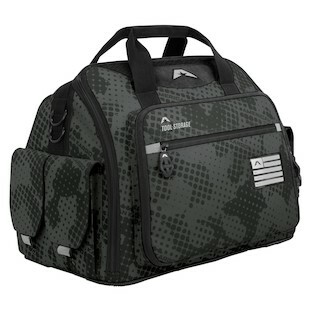 In addition, there are separate pockets for credentials, electronic devices and tool storage. Now, you have no excuse for being caught without a set of tire irons when you need them most. 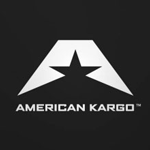 All American Kargo gear can be outfitted with a number plate kit to match the digits on your bike or jersey for easy identification by the masses. They also share the same PVC-backed 600D construction to ensure these bags can handle whatever abuse may be in store for them. 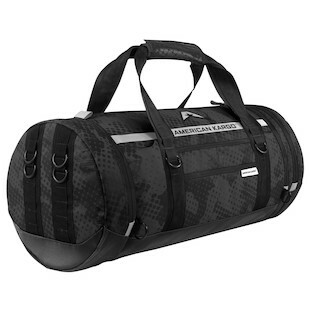 These new bags from American Kargo ensure that your gear stays safe and well organized so you will be prepared to handle any situation thrown your way, just like a Boy Scout -- a greasy, dirty, speed-obsessed, adrenaline-seeking Boy Scout.